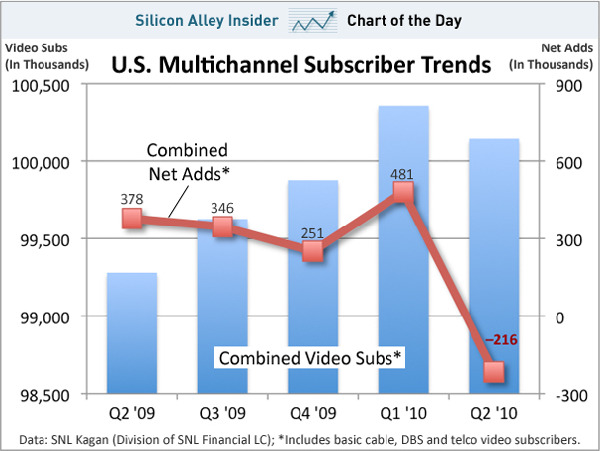 Is it time to start talking about "plain old television" service, as we talk about "plain old telephone service"? It might be just a bit early to say. We will need several more quarters of reports until we can say for sure. But is seems likely something has changed. 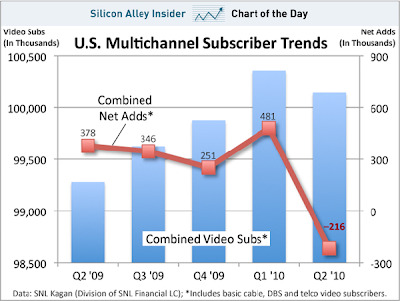 Multichannel video has been a legacy service for some time, as has POTS, but video has continued to grow subscriber counts, while landline voice lines have been contracting since about 2000 or 2001.